Julian Donally Telfer was in a fight with group of men at a Winnipeg nightclub the night of the fatal, drive-by shooting of Theodoros Belayneh in November 2016, a court was told Monday. 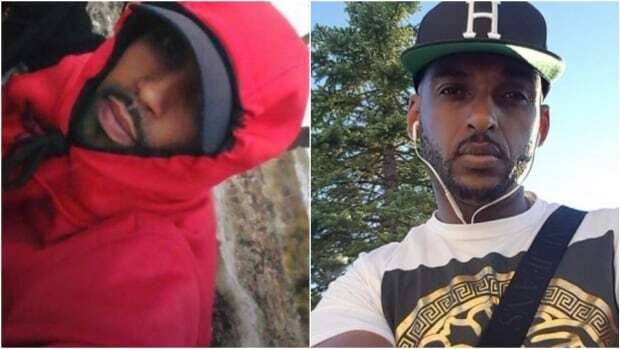 Monday was the first day in the trial for Telfer, 32, and Paige Crossman, 26, who pleaded not guilty to first-degree murder and attempted murder in the shooting that Belayneh dead and seriously injured another man, Biniam Fitur. The shooting happened near Donald Street and Stradbrook Avenue in the early hours of Nov. 26, 2016. Two people who were with Telfer on the night of the shooting say they went with him to a concert featuring hip hop artist Ace Hood at Reset Interactive Ultralounge on Pembina Highway. Tanner Dueck testified that he went to the lounge with Telfer and two women. Not long after they got there, a man approached one of the women, Jamie Macfadden, asking if he could buy her a drink, but she said no, Dueck said. The man then asked Telfer why she didn’t want to accept the drink, and Telfer responded “she’s not my girl,” Dueck said. Shortly after that, he said three men came up to Telfer and started a fight with him. It didn’t seem like Telfer knew the group, Dueck said. Macfadden also testified in court Monday, giving a similar version of the evening’s events. Dueck said he texted back and forth with Telfer after the incident. He said Telfer asked him not to tell people about the fight, saying he was embarrassed. However, two security guards who broke up the fight recalled the altercation differently. During cross-examination, Edward De Lacruz told the court that he saw two groups of men get into a fight, not that three men approached one man and punched him. Telfer appeared in court in the prisoner’s box, wearing a grey, three-piece suit, with his hair cut close to the scalp and a goatee. Crossman sat behind defence lawyers Jennifer Penman and Annamaria Enenajor, wearing in a dark, grey plaid suit, with high-heeled boots and black-framed glasses, her dark brown hair hanging down her back. Earlier in the day, forensic identification officer Const. Jan De Vries said Crossman’s name was on a rental agreement found in the vehicle police believe was involved in the shooting. Telfer and Crossman are being tried by judge alone, with Justice Chris Martin overseeing the case in Court of Queen’s Bench. Christian Vanderhooft and Colin Soul are prosecuting the case.